You’ve got to move it, move it, as the song goes. The end of summer and beginning of the fall season presents some obstacles to outdoor activity as school related activities increase, daylight decreases, and morning and evening temperatures begin to fall. Fortunately, in the Indianapolis area, we have many options for outdoor recreation and participation in events for the community or charitable fundraising. In celebration of our 15 year anniversary, here are 15 options to get yourself moving in the next few months. Eagle Creek Park, with 1400-acres has vast options for walking and running trails, as well as smooth roads for bicycles. Additionally, kayaks can be launched from the waterfront area for workouts on the reservoir. 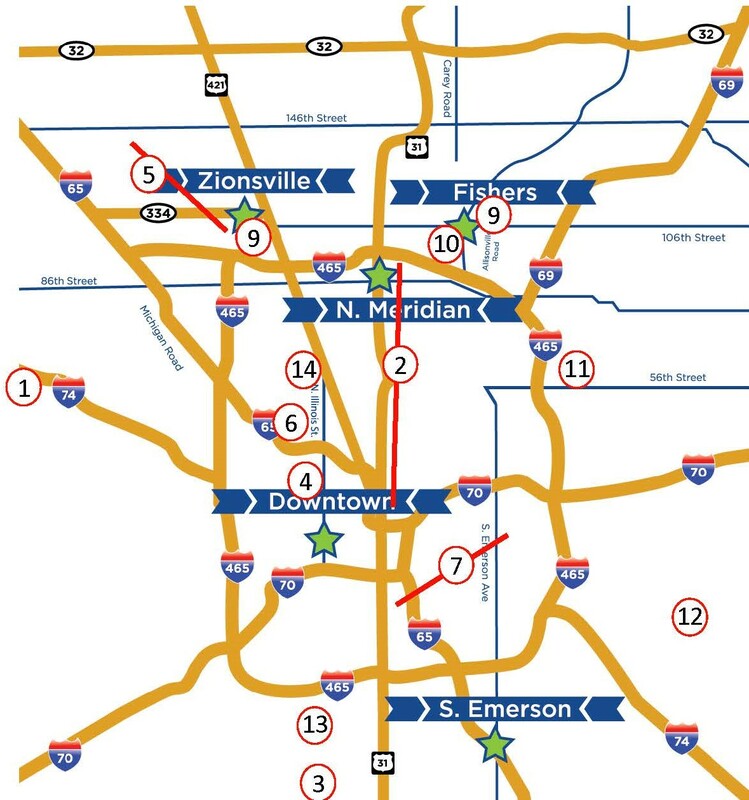 Monon Trail, extending from 10th St in downtown Indianapolis to 96th Street where it connects to Monon Greenway in Carmel up to 161st Street in Westfield. This trail offers opportunities for strolling, walking, jogging, and cycling, with many pleasant options for refreshments along the way. Wine at the Line, held September 30 and presented at Mallow Run Winery, supports an annual local charity, and has options for 5K Run/Walk or 5 mile run. Register at https://mallowrun.com/wine-at-the-line. Body One will be on-site for pre and post event stretching and injury screens. Connect2Help 2-Run-Run inaugural 5K run held September 23 at Lilly LIFE Center downtown Indianapolis. Connect2Help211 is a United Way agency. Register at http://www.connect2help211.org/connect2help2runrun/. Body One will be on-site for pre and post event stretching and injury screens. The Big-4 Rail Trail (formally known as Zionsville Rail-Trail) terminates at the southern end on a repurposed railroad trestle with access to Starkey Park, and runs 4 miles north to a new park on CR 875 East, perfect for walking, running, or cycling. Pleasant Run Trail runs from Ellenberger Park and meanders southwest mostly along Pleasant Run Creek, terminating at Garfield Park on the near south-side of Indianapolis. Central Indiana Bicyclists Association (CIBA) as well as many local bike shops offer daily and weekly group rides as well as periodic special events that support multiple levels of road cyclists. 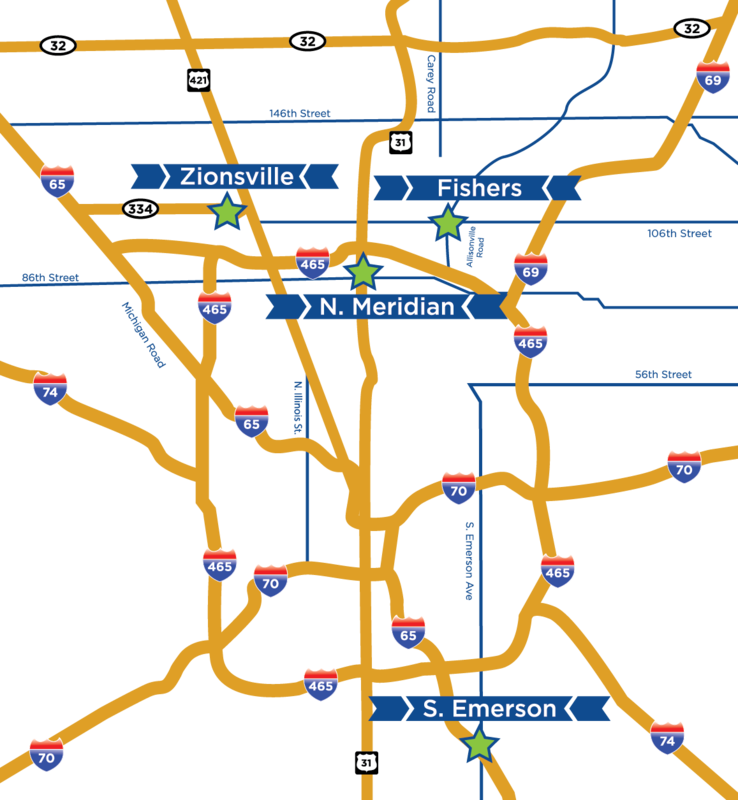 Endurance House, with locations in Fishers and Zionsville, offers weekly runs and rides out of their shops. Town Run Trail Park is a 127-acre nature park located off of east 96th street, with 9 miles of dirt trails, it has some of the best mountain biking trails in the metro area. Fort Harrison State Park has paved and unpaved trails for walking, hiking, jogging, and cycling, and can be accessed off of 56th St or Post Road. Southwestway Park is located in the southwest corner of Marion County, and offers trails for mountain biking, hiking, and horseback riding. Holliday Park is a 94-acre park located at 6363 Spring Mill Road, offers open areas for recreation and games as well as hiking trails along the White River. Your Neighborhood streets, sidewalks, walking trails, high school track, or community pool. If you are able, get outside and enjoy the next few months of late summer and early fall weather exercise activities at one or more of the above locations or events. If you need some assistance in preparing for such activity, or if you have pain or limitations that we can assist you with, call for an appointment. We are happy to assist, and to get you back to an active life sooner!